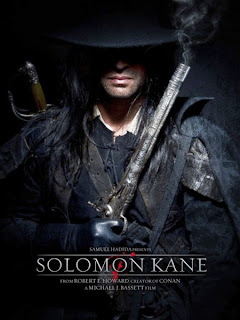 FAL News: Whatever happened to the Solomon Kane movie? While watching Conan the Barbarian and searching the web for info on the movie, I stumbled upon a poster for the Solomon Kane movie. It is a brilliant depiction of what could easily be a Witch Hunter in WFRP, and I immediately started to look for more information on its release. It seems to be stuck in development limbo at the moment. The filming has been done, but I guess they’re editing it and doing post-production, or whatever it is they do before a movie is released. It sure looks good, just judging from the poster, so I’m wondering if any of my readers have any further information on the status of the film?